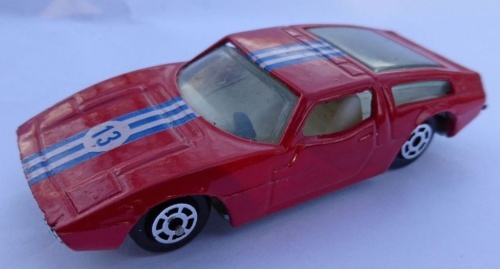 Richard K recently left a comment under our article, Dinky Toys, made in Hong Kong by Hong Kong Industrial (HKI), which mentioned that some of the Dinky cars he had recently purchased looked similar to those made by Yat Ming. Some initial information about Yat Ming – can anyone supply further details about this Hong Kong company? “Yat Ming (formerly called Yatming), is a die-cast car model maker, much like Matchbox. The company is based in Hong Kong. Yat Ming Industrial Factory Ltd was founded in 1970 by Mr. Wai Ming Lam. Yat in Chinese means “best or number one”. The Ming portion came from the founder’s “middle name”. The company started out making muscle cars [? ], European sedans, and transport trucks from the USA in the early 1970s. In the mid 1970s, JRI. Inc. (Road Champs) purchased the tractor trailer designs from Yatming and began marketing them under the Road Champs name in the 1980s. I have had your beautiful model of the 1950 Studebaker Coupe for many years and treasure it, also have always hoped that you would produce the original 1947 version designed by Virgil Exner as I have owned one of these cars for 50 years that I have just repainted bright yellow with white wall tyres. Should you need further details or photo’s of the front and rear I would be delighted to supply them, as the main body is identical-.I’m sure they would sell O.K. It’d be so good to make hinges in the cars door ,instead that deselegant bar that is used donne ,I’ve modified many miniatures of mine providing hinges.